The Coachella Music Festival announced information regarding the 2016 ticket presale today. Wristbands for the 2016 Festival will go on sale at precisely 11am PST on Thursday June 4. The exercise of purchasing a wristband is always one of the most stressful events of one’s life every year. General Admission wristbands will cost you 375 bucks, which can be paid for in one lump sum, or broken up in a 6-month payment plan. Visit the Coachella site for all the advance sale rules. 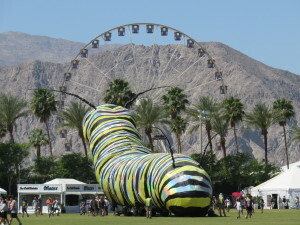 In the meantime, check out my review of the 2015 Coachella Music Festival Weekend 2. I’ve also started constructing my Coachella 2016 Perfect Poster Wish List.